Pink flowers on 3ft. stalks spring through summer. 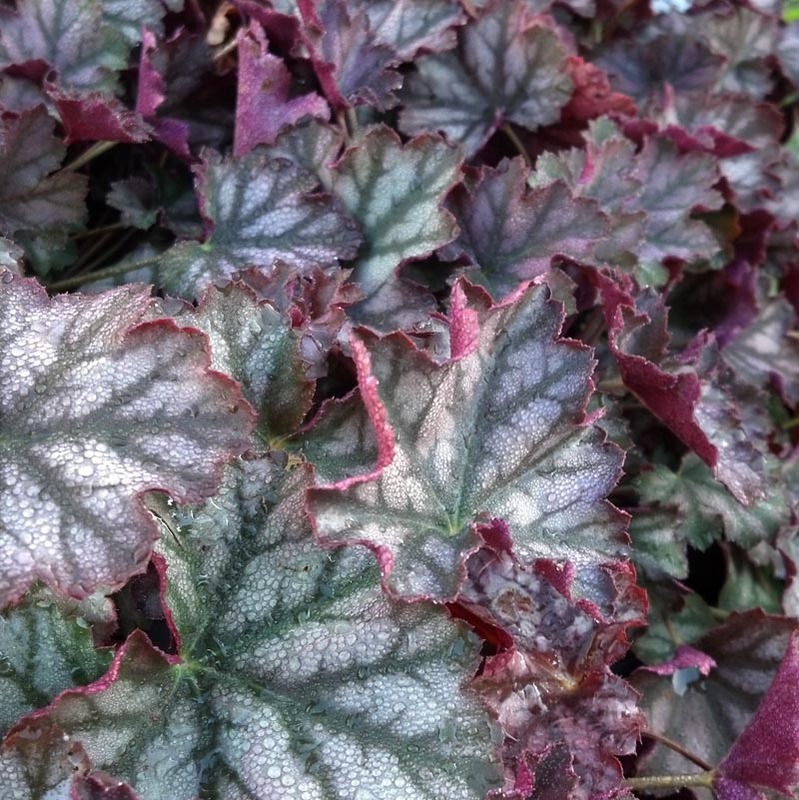 Mottled burgundy-gray leaves.